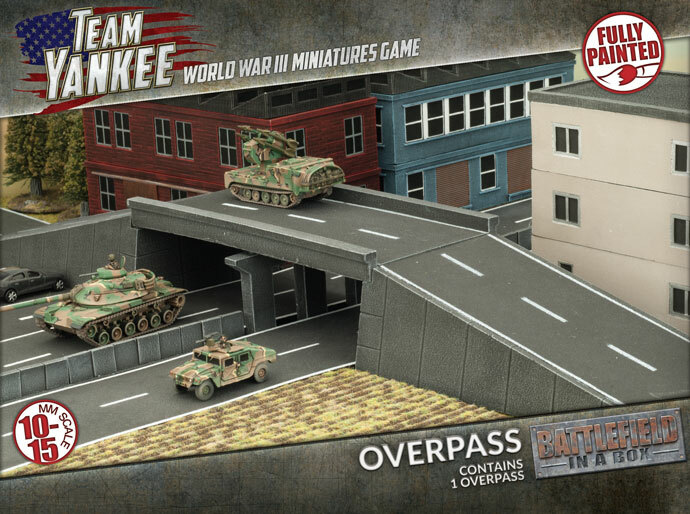 Stripes is our second book to expand on the forces that came with original Team Yankee rulebook. 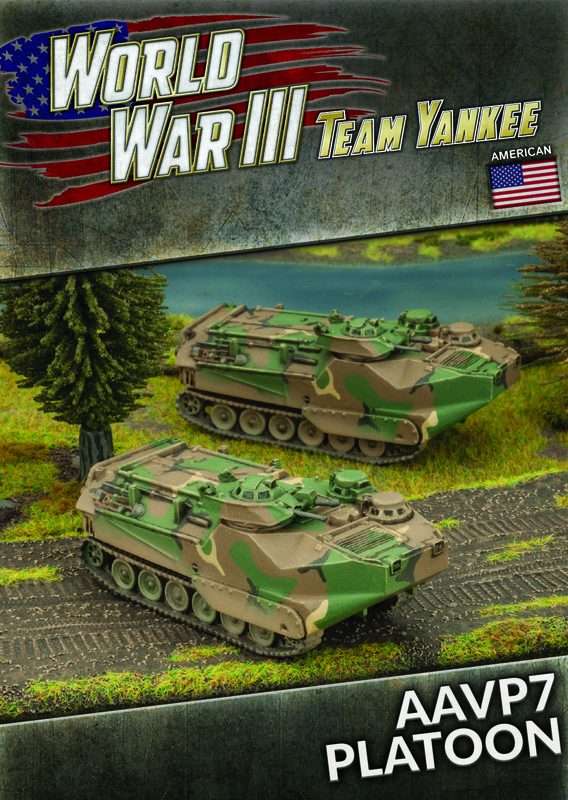 The book covers the US forces in Germany in August 1985, more specifically the 1st Armored Division, 82nd Airborne Division, and the 2nd Marine Division. Stripes substantially expands on the forces available to the US Team Yankee player, as well as adding a bunch extra options for those who haven’t been tempted by the Americans yet. 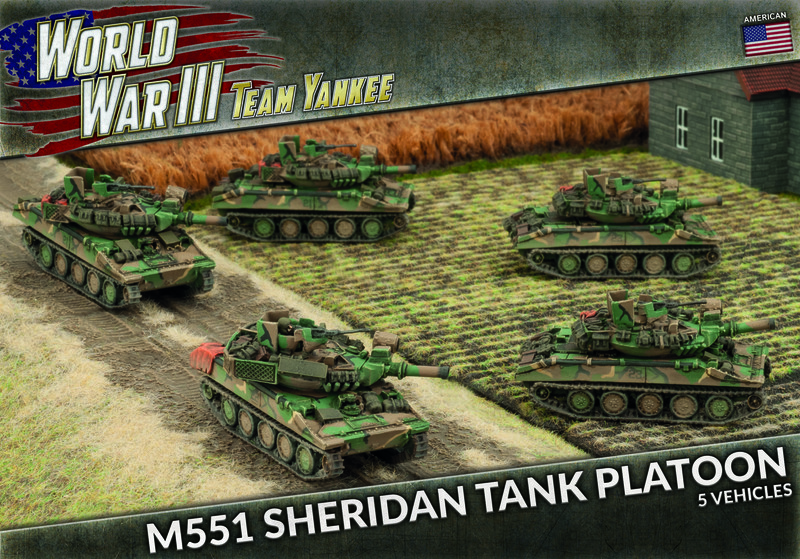 The mission of the tank battalion and its subordinate tank companies is to close with and destroy the enemy by using their armoured firepower, shock effect, and manoeuvrability and to provide anti-armour fire support for the other formations of its Marine division. 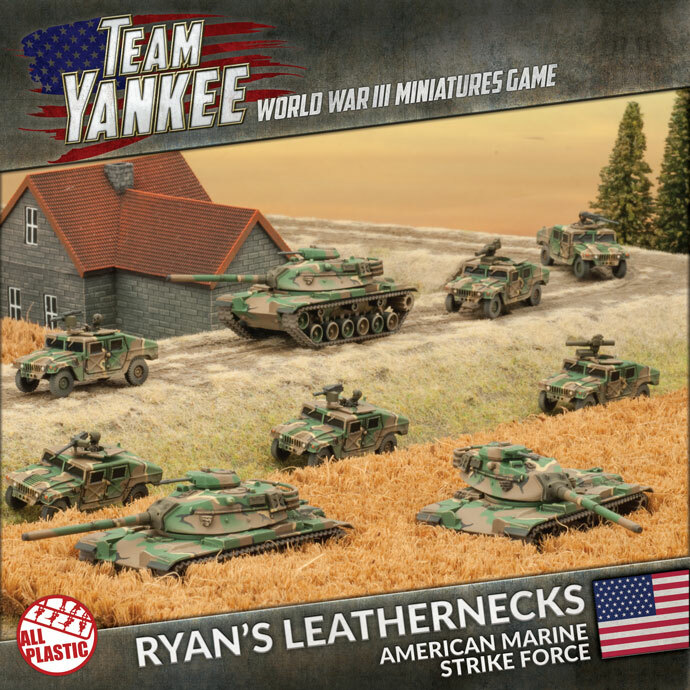 With a combination of M60 Patton tanks and HMMVW light utility vehicles Ryan's Leathernecks are ready to deal with whatever the Soviets might throw at them. The rifle companies are the fighting heart of a Marine forces. 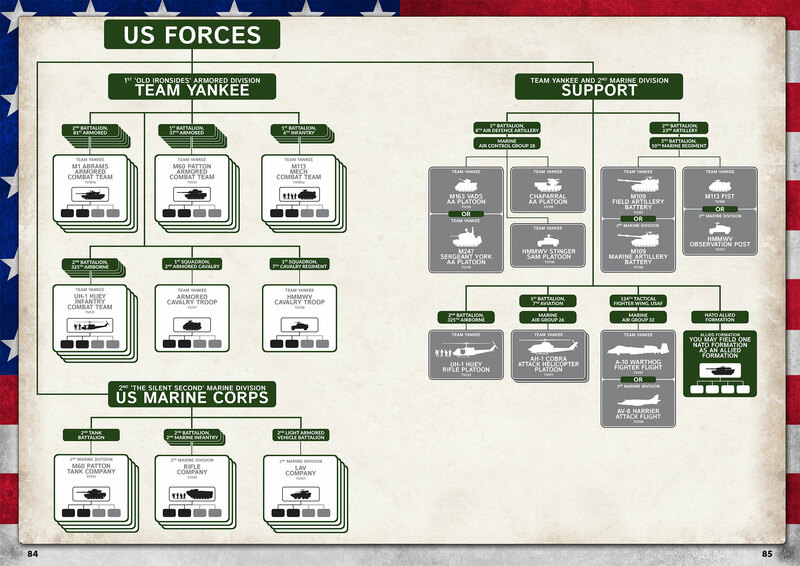 Each rifle company has three rifle platoons and a weapons platoon. 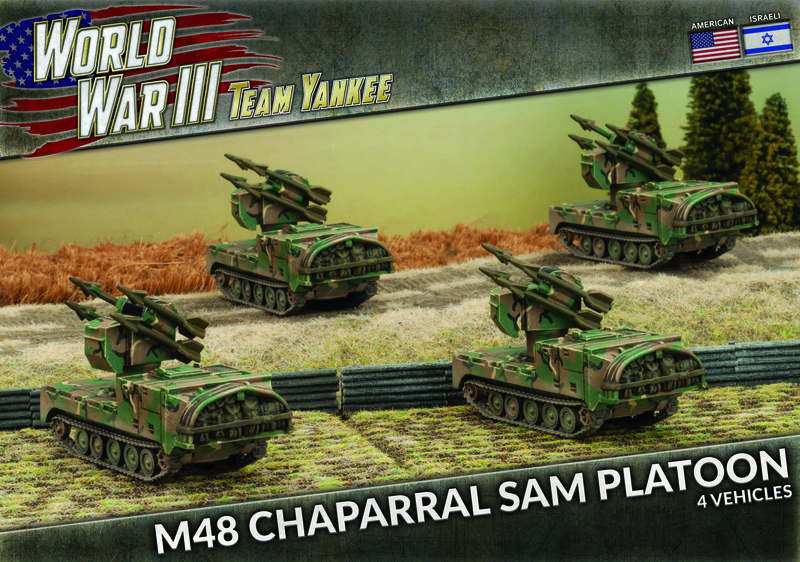 The weapons platoon provides mortar, machinegun and assault sections that are allocated out to the rifle platoons as needed for various combat missions. The primary mission of the infantry battalion and its subordinate companies is to locate, close with, and destroy the enemy by fire and manoeuvre or to repel enemy attacks by fire and close combat. The M1 Abrams was a new tank built from the ashes of a failed project, built with cost in mind, but not neglecting technology. It utilised the latest armour, targeting, night vision, and engine technologies. 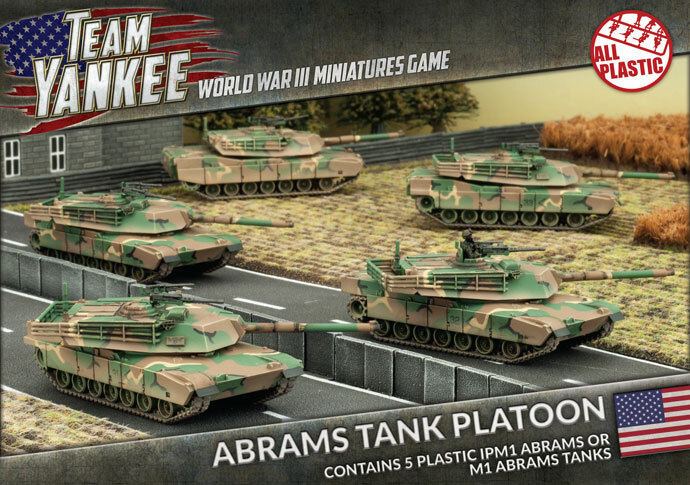 The IPM1, produced in 1984 with a new turret, substantially increased the armour performance of the Abrams further. The M247 is fitted with fully-stabilized twin 40mm Bofors anti-aircraft guns and with a search and track radar designed to track aircraft out to a range of 40km. 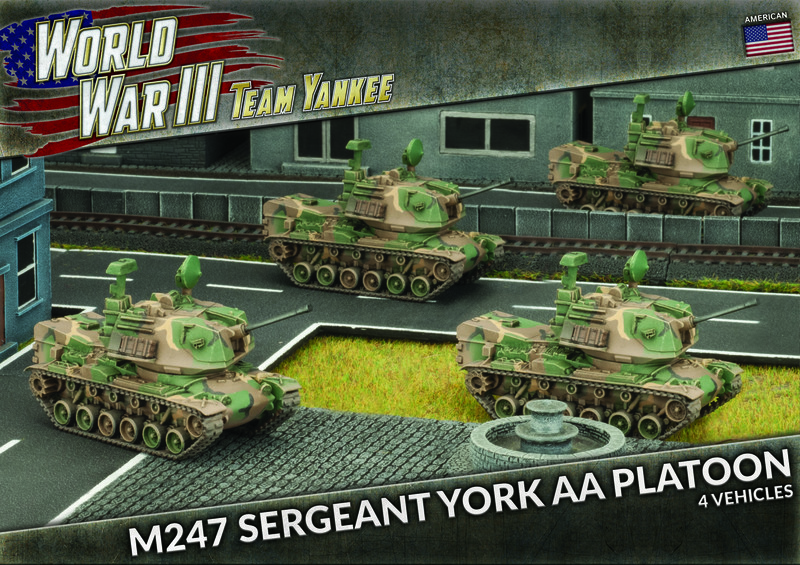 The Sergeant York is also fitted with a laser-rangefinder and digital fire control system. This was all housed in a new turret mounted on the hull of a M48A5 Patton medium tank. 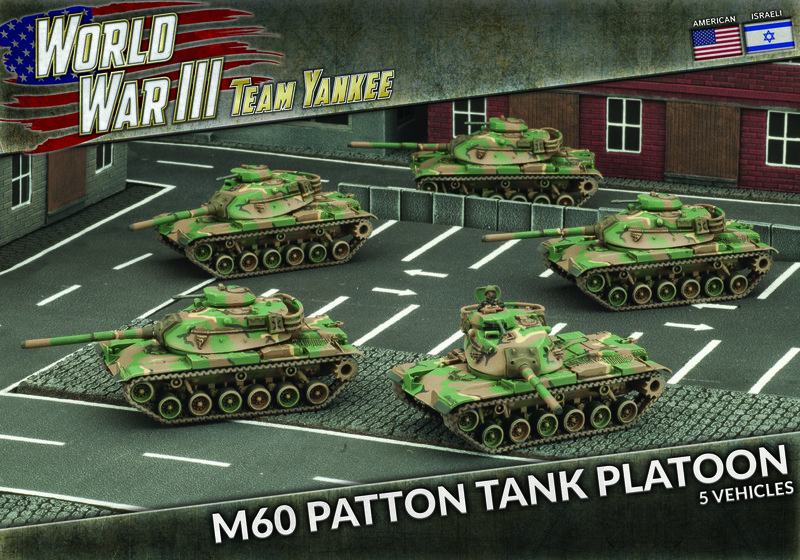 The M60 Patton tank entered service with the US Army in 1960. It was the first US tank to be designated a Main Battle Tank, incorporating the speed and mobility of a medium tank with the armour and firepower of a heavy tank. Introduced in 1983, the Marine Corps have organised a number of light armoured vehicle battalions equipped with the LAV and assigned to the Marine divisions. 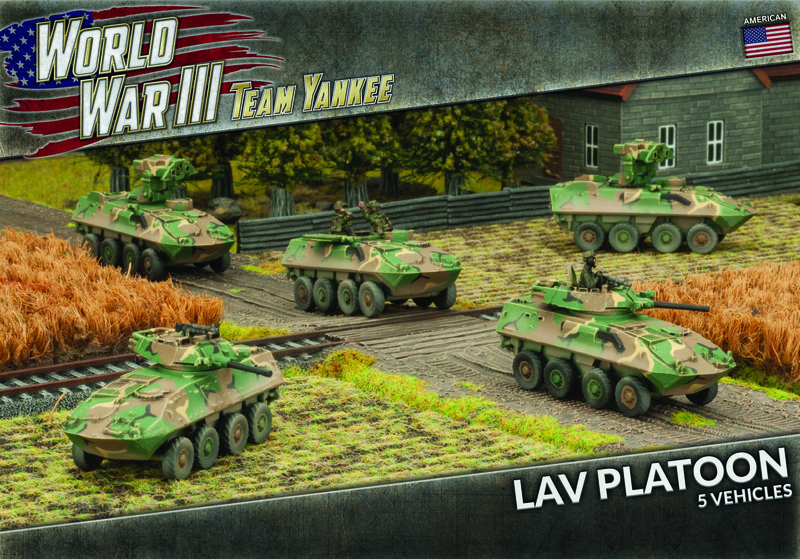 Each battalion has four light armoured vehicle companies equipped with LAV-25, LAV-AT and LAV-M vehicles. The AAVP7 (Assault Amphibious Vehicle, Personnel Mark 7) is a fully tracked amphibious landing vehicle used by the assault amphibian battalions to land the infantry assault elements and equipment during amphibious operation. They can also conduct mechanized operations ashore. 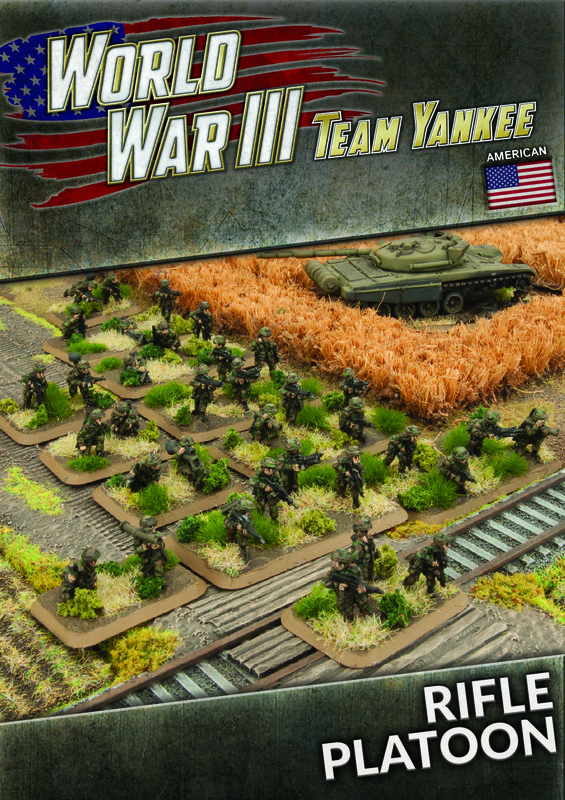 Stripes is our second book to expand on the forces that came with original Team Yankee rulebook. The book covers the US forces in Germany in August 1985. Stripes substantially expands on the forces available to the US Team Yankee player, as well as adding a bunch extra options for those who haven’t been tempted by the Americans yet. 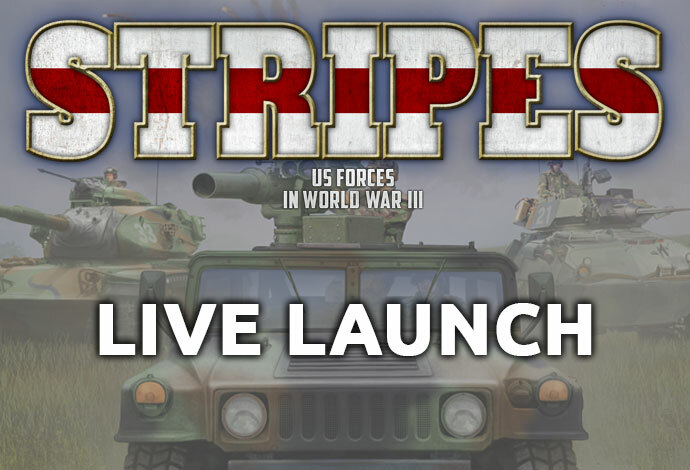 We had our live launch for Stripes on Friday. If you missed out don't worry. All of our content is still live. 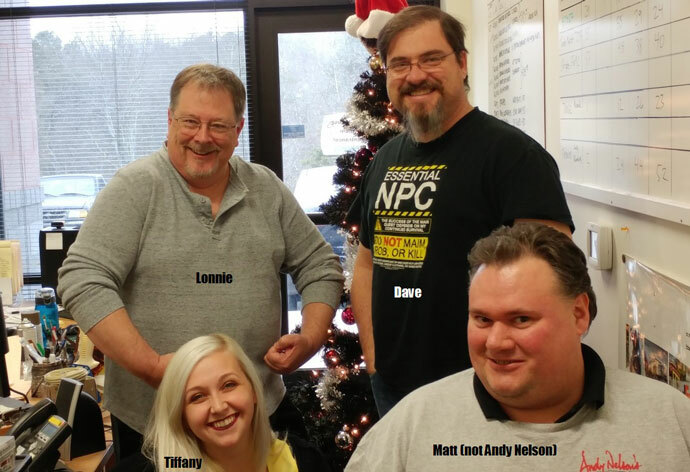 Check out our Studio articles and the live game between Phil and Wayne. 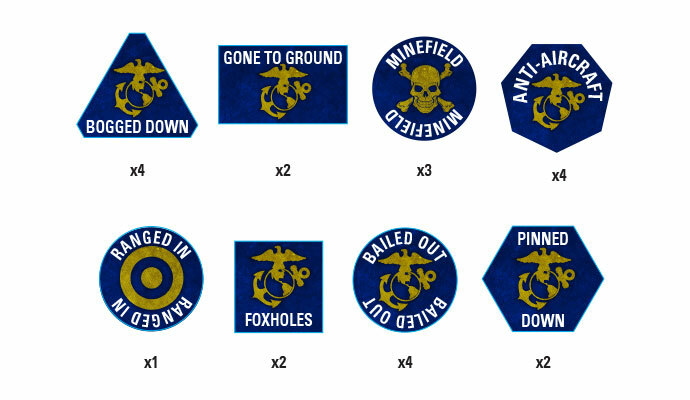 One, Two, Three, Four, I Love The Marine Corps! 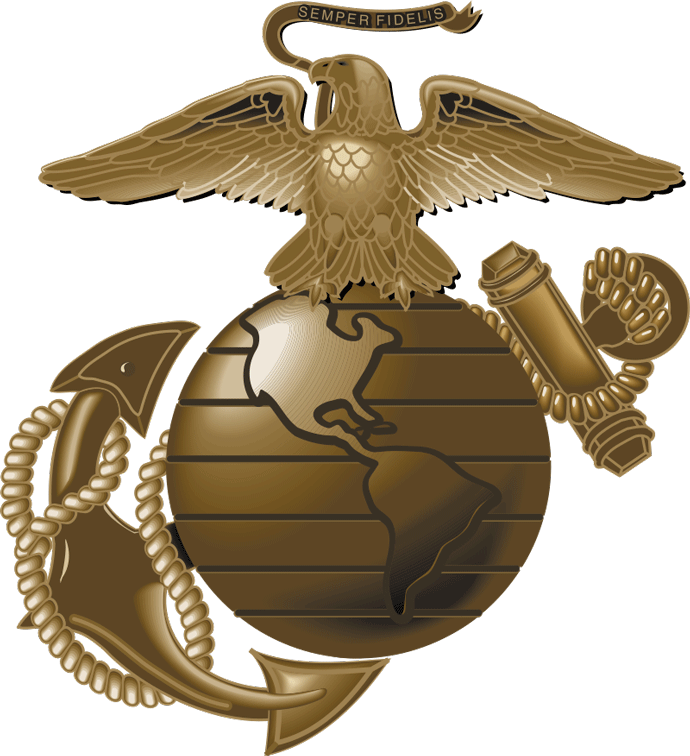 Founded in 1775, The United States Marine Corps has always been the tip of the spear for American Forces. In the 20th century, they would distinguish themselves as some of the toughest warriors in the world. From the Battle of Belleau Wood to the shores of Okinawa, American Marines have always defended freedom and liberty. In the last 70 years they have won two world wars, and there will be no exception here! 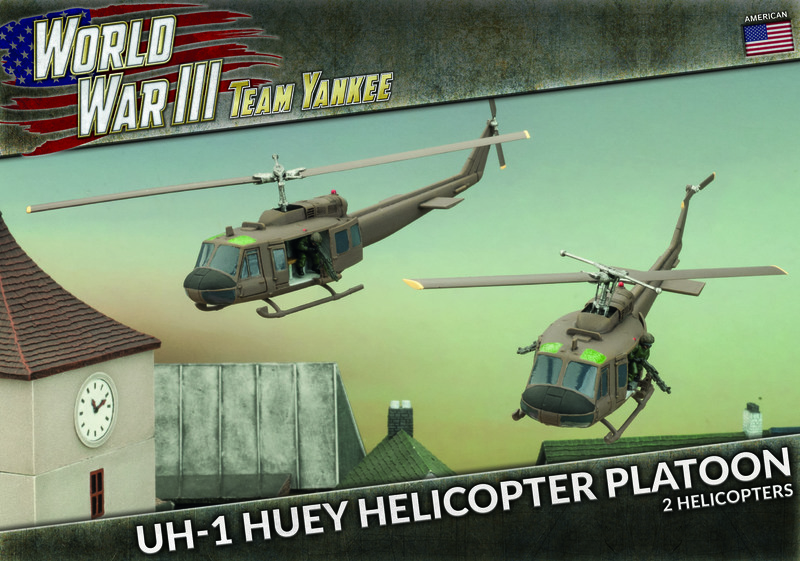 Whether they come from the sky in their rugged Huey transport helicopters or come from the sea in their massive AAVP7s, the US Marines will give the commies one hell of a fight. 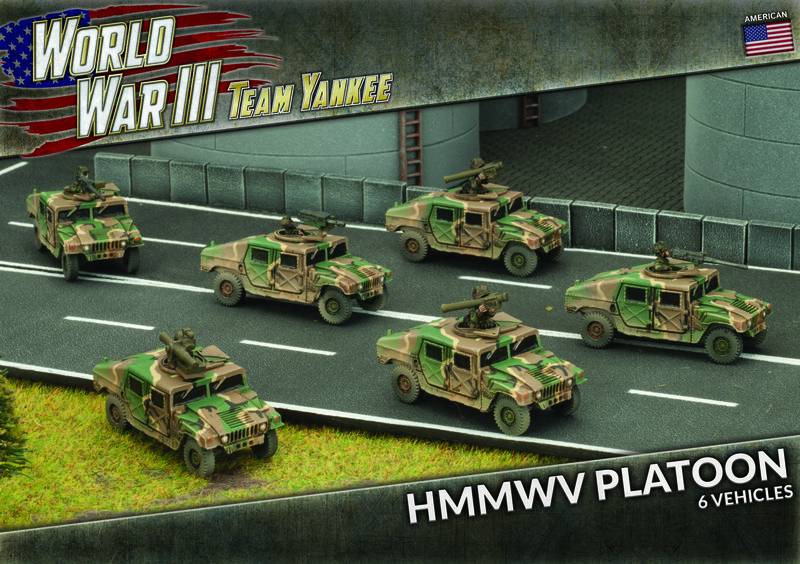 The release of Stripes includes one of the most iconic vehicles of the US Army, the ubiquitous HMMWV. 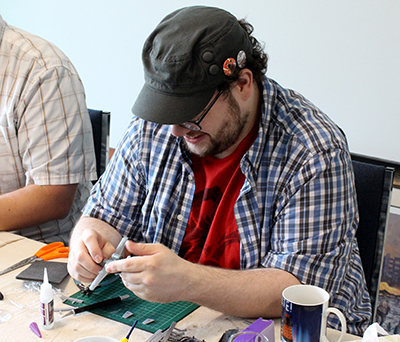 As the kit is so quick and simple to put together we decided to come up with a fun office challenge, were we each built one and then prepared to duke it out to see who would be “King of the Hill”. 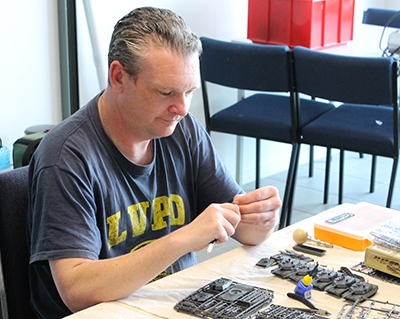 Aaron is a great (and prolific) painter who not only spends his days painting up the majority of the miniatures seen in our books, but also knocks out army after army in his own time. 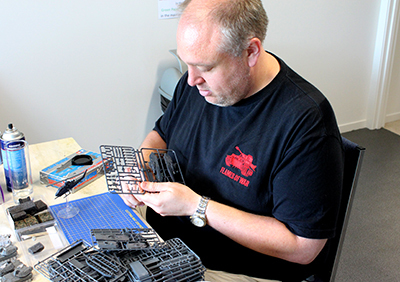 Today Aaron takes us through his US 2nd Armored Cavalry army. 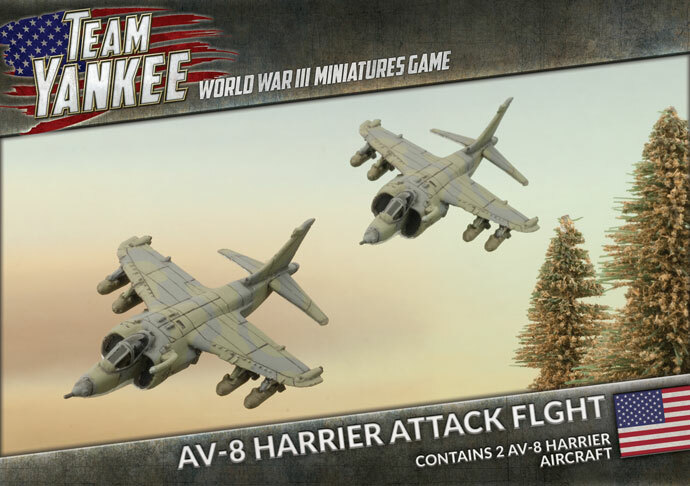 American Air Defence: Guns Vs Missiles: "First to Fire"
With the forces released two years ago in the Team Yankee release, the US & USSR forces got their core units and the game system kicked off with a selection of equipment. US got their heavy Armor, while the Soviets got more middle of the road gear, with a few surprises. With Red Thunder released, the USSR upgraded to a heavier and more advanced Tank, the T-64, while also bringing in heavier AT & AA missile systems, Storm & Gecko. 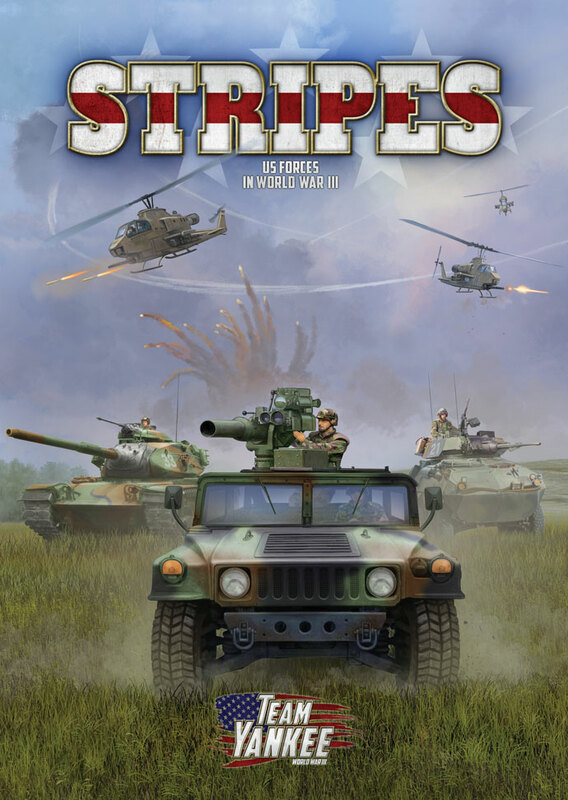 Stripes is now filling out the US forces with a wider range of Formation and Unit types, filling out your Force with Formations for angry Heavy Infantry, medium Tanks, Air-mobile Infantry and heaps of great new 80's gear to load up and roll out with. 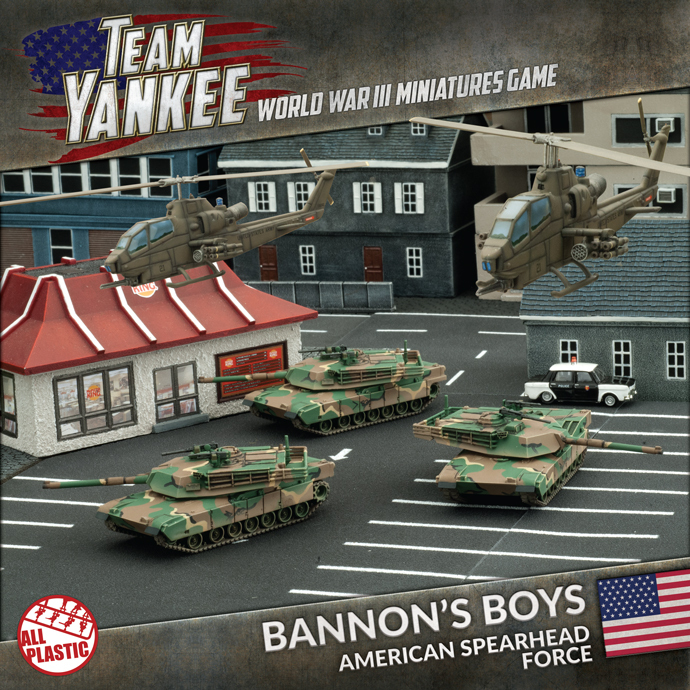 Since the release of Team Yankee I’ve been very excited about the growing range of miniatures and as a logical outcome I now have a massive Team Yankee painting backlog. I’ve been quite proud about the fact that my Americans were finished though and over the past 12 months they have seen a lot of table time playing games. The release of Stripes is both a boon and a curse as it adds plenty of new options for me to get excited about, whilst at the same time adding to my painting list. I've been working on lots of armies lately, this one in particular has been a pet project of mine for some time, but it has not gotten the love it deserved. So with the release of Stripes I decided to do something different. I created my own background story around my army and from there I hope to create a narrative to play towards in my games and add to my battle reports. My story focus on a fictitious drafted poet named, William (Billy) L Wulf.